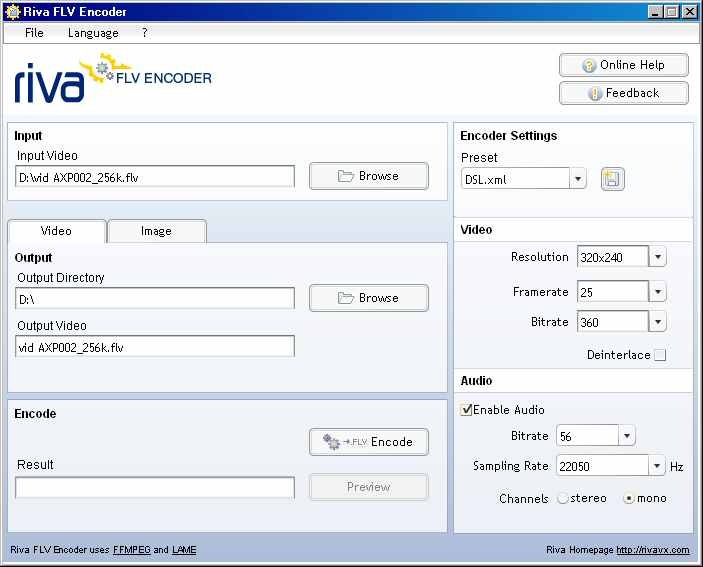 Get Riva FLV Encoder on BigVideo2\Software or Riva.com and go to the download section. Click the Browse button in the Input tab and locate the file you want to convert. Click the Browse button in the Output tab to select the location to save your output or leave it as is. 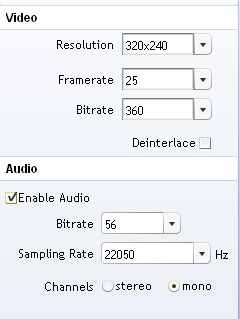 Adjust the encoding parameters for both video and audio to your liking. Make sure you check the box Enable Audio or you�ll end up with a mute video. Just experiment with the settings, but don�t expect miracles.